We are licensed riggers with the New York City Department of Buildings. Our machines are inspected annually and fully comply with the Department of Cranes and Derricks requirements. We service the mechanical, HVAC, roofing, tree, safe, water tank, scaffold, and steel erection industries. 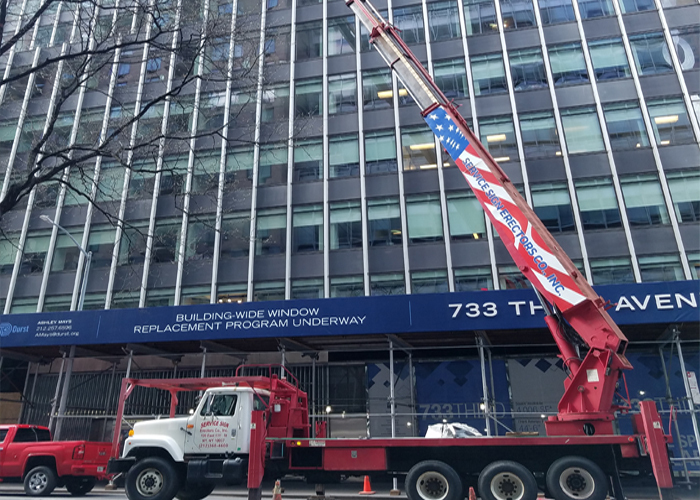 Our bucket trucks are perfectly suited to provide aerial access to the electrical, masonry, engineering, waterproofing, and façade inspection community.